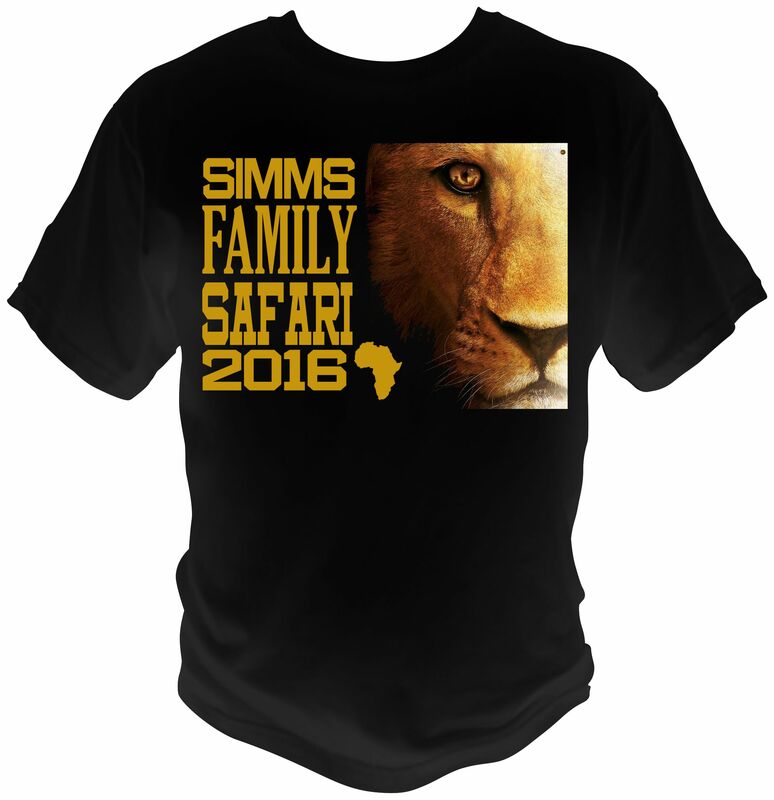 Custom Family Vacation and Family Reunion Tees in Saint Louis area. custo t-shirt printing St. Louis – Family vacation tees are a hot item the past few summers. People like to create their own memories and it starts with their own custom printed t-shirt. Their own souvenir from their time together. Perhaps you don’t see anything you like on your destination but creating your own fun family vacation tees means you can have them look like whatever you want. We make ordering custom t-shirts easy and we’ll work with you to make sure your custom family vacation tees look exactly how you want them. I’d say most people have no artwork but only a concept of what they want their shirts to look like, and that’s fine. That’s why we have graphics people. Some people have a logo or design already made up and that’s great. For those that don’t you need not worry because we can create something custom that fits your family vacation tees specs. Whether it’s an entire extended family trip, a ladies trip or a guys trip, we have a full line of apparel to customize your needs. Basic tees are the most popular followed by a tees for guys tanks for gals mixture. Beyond that we will gladly help you should you need something that may be a current trend or something other than basic tees. Basic tees however have always been the most popular just because they are an apparel staple and offer the best price point. When it comes to designing we can put a custom design together for you or you can provide us your own artwork. Another fun way is to use our online design studio and create you very own custom shirts using our clipart and design ideas. At the end of the day we’ll print your custom family vacation tees so that you look awesome while you enjoy time with the family. Contact us for a free price quote.